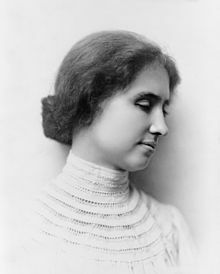 The late, great Helen Keller knew what it was to be left out and overlooked. Like so many others she seems to have found her comfort in books. There is a lot in this quote to mull over, but I particularly like the idea of discourse between friends being sweet and gracious. She really had a gift for description.